Is there a straightforward way to move the plot markers to the 'top' layer (i.e. so that the plot markers obscure the frame)? Previously I have worked around this issue by overlaying two plots using Show with the plot 'on top' having no adornments. A similar question was asked a few years ago and the solution given was to add PlotRangeClipping -> False to the plot options. As you can see this doesn't affect the superposition. Browse other questions tagged plotting graphics or ask your own question. How to draw grid lines on top of a plot? 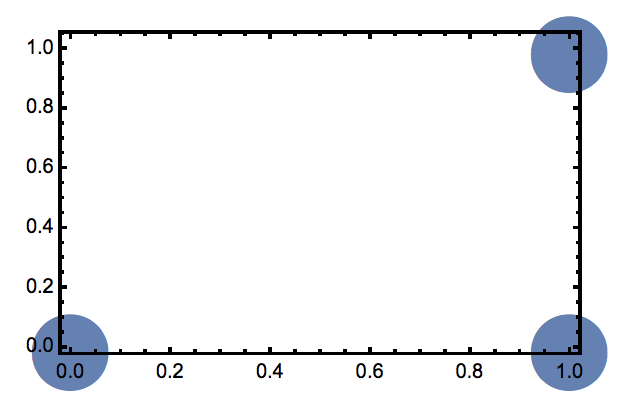 Plot Markers for plot in Mathematica?